Pradeep, an Indian by nationality, has been playing the guitar from his school days. Hailing from a musical family, he started by playing in a band called the “Eleventh Commandment” whilst at Loyala College, where he completed his BCom. 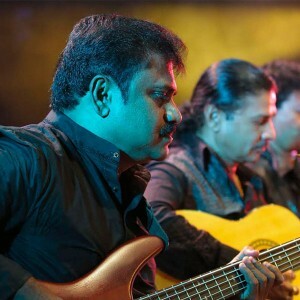 Since then, he is a full time musician, playing the bass guitar for several Music Directors in India. He has played for several recordings, as well as concert tours and assignments in Singapore, Europe, Canada, Australia, and Africa. Currently he is partly based in Sri Lanka.